Another movie that plays in the 70ies, with a real rock'n'roll story. I was 14 when Almost Famous came out and I totally flipped on it... Who didn't want to be like mysterious Penny Lane at that time? I even started decorating my lamps with scarfs like the girls do in the film. Turns out that is pretty dangerous. Wes Anderson movies have this weird kind of esthetics that always get under my skin. This one is no different. The melancholic comedy-drama with the slightly morbid character of Margot is divine. The whole wardrobe of the Tenenbaums is really smooth. 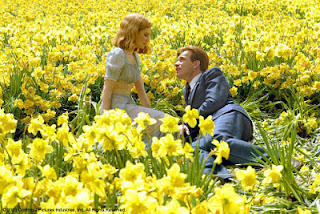 If I tell you that Big Fish is a Tim Burton movie (without Johnny Depp for once) I probably won't have to say much more. The costumes and scenery are beautifully done, I found the lights and colors so inspiring that I based my graduation collection on it. A good one for everyone who loved The Devil Wears Prada. This documentary shows us real behind-the-scenes of the creation of the september issue from American Vogue. You can see how frustrating it is for Grace Coddington, creative director, to watch Anna Wintour trash most of her ideas. 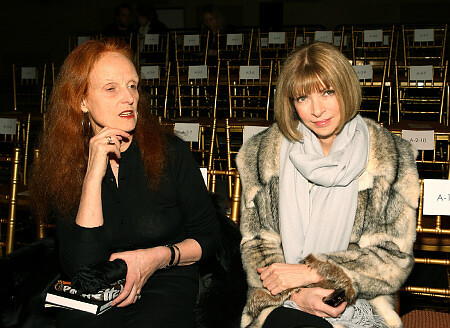 Also not everyone at Vogue dresses like a supermodel, not even Grace Coddington, who was a model herself. Originally this documentary series is produced by Arte editions (Loic Prigent) and you can buy the 2 boxes containing each four DVDs on amazon. I got the box with Sonya Rykiel, Proenza Schouler, Jean-Paul Gaultier and Fendi. Not only that it is amazing to see how each designer prepares 36 hours before the show and what has to be done last minute. But also most interesting to see the difference between a very young label like Proenza Schouler with young and squirrely designers and a traditional label like Fendi with an experienced chap like Karl Lagerfeld, who has an eye for perfection.